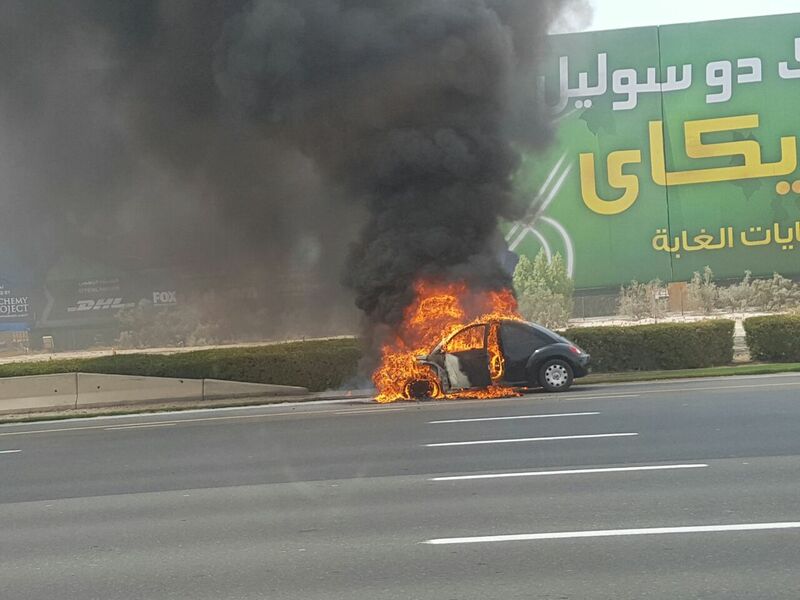 UAE heatwave: 2 cars catch fire in the burning heat! 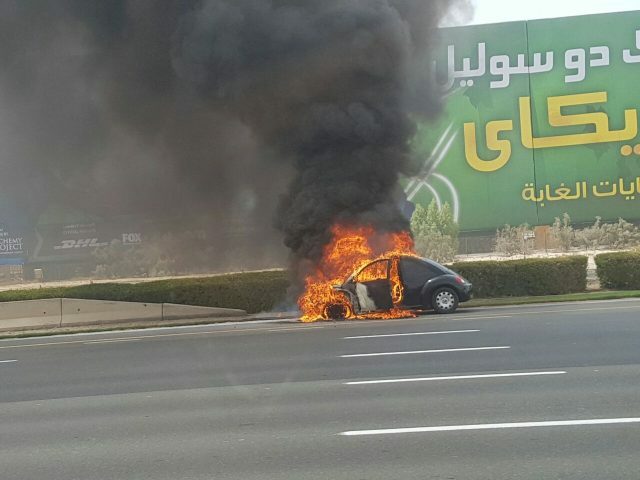 Home GCC Countries UAE UAE heatwave: 2 cars catch fire in the burning heat! Police are cautioning residents to carry out regular maintenance work on their cars after two cars caught fire in one morning. On Wednesday at 10.30am, the Civil Defence in Umm Al Quwain were notified that a vehicle was engulfed in flames. The car, according to officials, was parked on Al Ittihad Road. A team of firefighters rushed to the scene and managed to put out the fire before the flames spread and caused further damage to nearby shops. No injuries were reported. Colonel Hassan Ali Bin Saram, director of Umm Al Quwain’s civil defense, stressed the importance of carrying out regular maintenance work on vehicles, especially during the summer when temperatures reach 50 degrees Celsius. The second fire took place in Dubai at around the same time, when a mini bus burst into flames on Shaikh Zayed Road as it was traveling from Abu Dhabi to Dubai Media City. Regular maintenance of the vehicles by specialized technicians. 2. Daily monitoring of the car’s water and temperature levels. 3. Tightly closing the fuel tank cap to avoid leakage. 4. Not smoking in the car. 5. Turning off the engine when filling the fuel tank. 6. Not leaving flammable materials/aerosol cans in the car.